Without a doubt, fairness is a vital element of casinos, both land-based and online ones. Because if establishments were not fair, nobody would indulge in gambling. Obviously, it is relatively easy to ensure players that a venue is fair when it is based on land, and not on the web. This is because players are able to see how cards are dealt, or how the roulette wheel is spun – and in most cases, this is enough to ensure players that they play in a fair casino. Things are not so easy when gambling is taken online. Incidentally, online casino operators find it increasingly difficult to ensure players that their games are fair. The problem is exacerbated by suspicious players, who become particularly cautious when they are experiencing a losing streak. Taking into account the fact that there are myriad bad apples in the online gaming industry, it is understandable for players to feel insecure while playing online. Even today, there are some online gaming venues who will do anything to scam players out of their money. But not all online venues are like that. Most renown virtual casinos integrate various cutting-edge technologies to ensure players that their games are legitimate and fair. One such technology is the technology of random number generators. In the lines below, we will discuss what is a random number generator and RouletteVision will explain its connection to one of the most popular casino games of all time – Roulette. Essentially, a random number generator is a computer program which produces seemingly random number results. This program is used to make virtual simulations of some of the basic casino gaming activities, such as throwing dice or shifting cards. In order to operate, random number generators utilize an algorithm, meaning it follows a certain string of rules to produce random number results accurately. There are different types of random number generators – software random number generators and hardware random number generators. The former are also known as “pseudo” random number generators, whereas the latter are familiar as “true” random number generators. Some lines below, the reader will find more information about the differences between pseudo random number generators and true random number generators. It should be mentioned that random number generators are behind every game in online gaming establishments. But online casino operators are not the only ones to utilize this technology. As a matter of fact, random number generators are utilized in every game with a virtual nature. Thus, random number generators are used in land-based gaming venues in games such as video poker and video slots. As mentioned above, there are different kinds of random number generators – pseudo random number generators and true random number generators. Pseudo RNGs need a seeding of the algorithm in order to operate, hence the name software. On the other hand, true RNGs operate without a seeding of the algorithm. 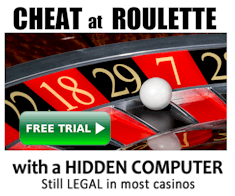 Casino operators, both on land and on the web, utilise pseudo RNGs. Pseudo RNGs are preferred over true RNGs as they do not run the same sequence or some set of predictable sequences, which might occur in true RNGs. Random number generators are implemented in all online casino games and in some land-based casino games as well. 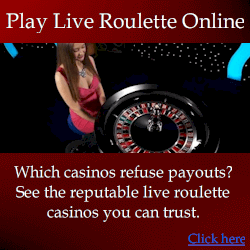 However, their role is especially prominent in online roulette. First of all, implementing pseudo RNGs in online roulette is simple as the game needs only one number on each spin. For example, French roulette has 37 numbers – from 0 to 36. Thus, the pseudo RNG needs to produce a unit between those numbers. What is more, multiple digit numbers are utilized by the software algorithms, which are then reduced to suit the numbers on the French roulette wheel. Thanks to pseudo RNGs, online roulette games identify where the ball will stop. Random number generators are used by online casino operators to assure players that their favourite casino game is not dishonest. 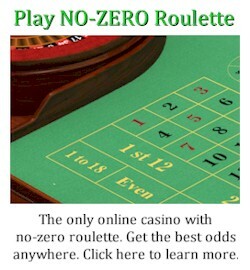 Another benefit of using random number generators, though only for operators, is that players can not utilize any roulette strategy in order to win. That is because it is impossible for players to guess where the ball will land; the number is spilled out by a computer software. In other words, when gamblers play online roulette, the only thing that will help them win is lady luck – cheating is out of the picture, both on players’ side and on the casino’s side. Are Random Number Generators Fair? Of course, whenever there is gambling involved, questions centered around casinos’ fairness always arise. And, since random number generators are a part of the gambling industry, questions regarding their legitimacy often arise as well. It is important to note that every renown online gaming venue is licensed and regulated. What is more, all games available at the venue are tested, as well as the casino software. Testing is always utilized by third party companies, as this ensures maximum objectivity. Furthermore, all elements of online casinos are checked on a regular basis. Naturally, RNGs are tested regularly as well; after all, they are essentially responsible for the outcome of games. Interestingly enough, there are many independent businesses which work in the field of iGaming testing. The main concern of such entrepreneurships is to help the regulation of online gaming venues as well as to ensure players that all games are legitimate and provide dedicated players with a fair chance to win. One of the most renown companies for iGaming testing is Technical Systems Testing, or TST. This company specializes in a wide variety of fields, such as live dealer testing and testing of RNG. In addition, TST is said to produce some of the most accurate RNG evaluations. It is easy to differentiate casino operators who have fulfilled all requirements of offering fair games with random outcomes – such venues are always certified or, at the very least, they receive a badge. Additionally, certified venues have proven that their games are trustworthy and fair. ← Is Poker The Best Game To Earn a Living?